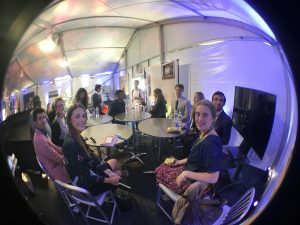 The EWEC HUB, a temporary tent situated on the North Lawn at the United Nations Headquarters, will hold events, social media activities and much more sponsored by Every Woman Every Child partners from across sectors from 18-22 September. The initiative aims to ensure that women’s, children’s and adolescents’ health is front and center in all discussions during the UN General Assembly as key to achieve healthier communities, more vibrant economies and resilient societies. Photos of three Syrian refugees as they prepared to give birth and raise their children in a foreign land will decorate the EWEC HUB. These women are among the more than 1,000 refugees who gave birth in Greek refugee camps in 2016 alone. As babies born of no nation take their first steps, they face an uncertain future. Their parents continue their search for a home in a world that is increasingly hostile to refugees. This daily struggle plays out against the backdrop of Europe’s newest experiment to integrate hundreds of thousands of refugees. These photos, by world-famous photojournalist Lynsey Addario, are sponsored by TIME and Merck for Mothers, a commitment maker in support of Every Woman Every Child. EWEC will be organizing flagship events in the HUB throughout the week, but is also availing the space to partners to organize events and activities related to the empowerment of women, children and adolescents for health and wellbeing and across the Sustainable Development Goals (SDGs). The EWEC Hub will also have a Youth Corner Tuesday through Friday mornings from 9-10 a.m. Through these “Out of the Box” sessions, we’re hoping to engage youth to unbox Reproductive, Maternal, Newborn, Child, and Adolescent Health (RMNCAH) themes, highlighting their importance for the achievement of health and empowered individuals and communities. This event will include presentations from youth-led organisations from Cameroon, India, Kenya, Malawi and Nigeria on their ongoing advocacy efforts to advance adolescent health and wellbeing using the ‘Advocating for Change for Adolescents!’ toolkit developed by PMNCH and Women Deliver. Government representatives from each of the five countries will respond, showcasing national leadership and political commitment to improving the health and wellbeing of adolescents in collaboration with young people. Participants will engage in discussions to understand the challenges and lessons learned from these country experiences to help inform their future advocacy plans. To raise awareness, visibility and support for ending obstetric fistula within a generation and increase support for the UNFPA-led Campaign to End Fistula, UNFPA organizes a panel discussion and screening of a short version of the movie “Dry”, introduced by the filmmaker Ms. Stephanie Okere Linus. Panellists include Dr. Natalia Kanem, UNFPA Acting Executive Director; Hon. Otiko Afisa Djaba, Minister of Gender and Social Protection, Ghana (tbc); H.E. Mr. Christian Braun, Ambassador and Permanent Representative of Luxembourg to the United Nations; Ms. Pam Agnone, President, United Nations Federal Credit Union (UNFCU) Foundation; Dr. Shershah Syed, fistula surgeon and founder and President, Pakistan National Forum on Women’s Health (PNFWH); Ms. Razia Shamshad, Pakistani fistula survivor and advocate accompanied by Dr. Sajjad Siddiqui, fistula surgeon and Project Manager for Fistula Support Project at Pakistan National Forum on Women’s Health (PNFWH). Two years into the implementation of the SDGs, there is a heightened awareness of the essential role that the business sector can play in achieving sustainable development through its vast resources, expertise and insights. Similarly, it is increasingly clear that the broad ambition of the 17 Global Goals won’t be met by business as usual solutions, and that innovative ideas, technologies and partnerships will be required at all levels to achieve integrated development for all. Since Every Woman Every Child (EWEC) was launched in 2010, considerable emphasis has been placed both on engaging the private sector and on driving innovation for reproductive, maternal, newborn, child and adolescent health and the annual luncheon event during the UN General Assembly provides an opportunity to celebrate and accelerate action on these two fronts. In September 2017 the EWEC Private Sector-Innovation event will recognize several specific achievements by private sector actors in support of the Global Strategy, particularly commitments that spotlight novel private-public sector collaborations that ensure that no one is left behind. This will include actions being taken through the Global Financing Facility (GFF) in support of EWEC. The event will also celebrate progress made by the EWEC Innovation Marketplace since its launch in 2015. The Innovation Marketplace, steered by Grand Challenges Canada, the Gates Foundation, Norad, USAID and UBS Optimus, aims to broker significant investments in at least twenty RMNCAH innovations by 2020, following a diligent curation process across their combined pipeline. During the UNGA event, several innovations curated by the Innovation Marketplace will be presented that have successfully received additional investments and are poised to transition to scale and achieve widespread availability. Co-sponsored by the Governments of Canada and France, Plan International will host an engaging discussion on a new model of development needed to realize the rights of adolescent girls and achieve the SDGs by 2030. This interactive event will explore the impact of breaking down silos and employing an integrated approach to realizing the rights of the world’s most excluded populations. Participants including youth will speak to the need to identify and find solutions to the root causes of gender inequality – those harmful gender norms and unequal power relations that undermine basic human rights in all areas of life. Panelists will include high-level governmental representatives, media personalities, INGO thought leaders, and adolescent girls themselves. The event will feature expert panelists and a 3 year update of the joint EWEC Commitment “The BORN Project” on implementing newborn screening of sepsis, pneumonia and CCHD. The BORN Project is led by the Newborn Foundation and conducted in collaboration with the China Office for Maternal and Child Health Surveillance, the China CDC, the Mianyang Health Bureau, supported by Masimo, the Masimo Foundation, and the London-based Global Innovation Fund. The BORN Project has now launched in the Philippines and expanded into India, Peru, Mexico, Bolivia, Pakistan, and Mongolia. The Newborn Foundation leads advocacy and implementation efforts, which focus on education, training and metrics on the benefits of routine pulse oximetry screening of newborns, as well as follow up diagnosis and treatment protocols. Opening remarks: Jay Corless, Senior Advisor, UN Foundation. Moderator: Ms. Carolyn Reynolds, Vice President for Policy and Advocacy, PATH. This 2-hour event will encompass networking and an innovation showcase, artistic performances and a fire-side chat, which will follow the formal program with a keynote address by the Deputy Secretary-General and the launch of the replenishment of the Global Financing Facility (GFF) in support of Every Woman Every Child. The event will bring together political leaders, partners, celebrities, private sector and civil society to elevate discussions about the importance of empowering individuals and communities to foster healthier, more prosperous and peaceful societies. During the event, panellists will discuss the building blocks and key constraints for the empowerment of women, girls and communities. A reception will close the program. This high-level event—co-hosted by Global Partnership to End Violence Against Children (EVAC); Every Woman Every Child (EWEC), the Global Partnership for Education (GPE), Sanitation & Water for All (SWA), the Scaling-Up Nutrition (SUN) Movement, Early Childhood Development Action Network (ECDAN); UNICEF; and the World Health Organization (WHO)—will discuss how investing early, even before birth, in young children’s development is one of the smartest interventions governments can make to address inequality, break the cycle of poverty, and improve outcomes later in life. The event will also serve to mark the start of broad consultations to develop a nurturing care framework for early childhood development—including actions and results that countries can use to guide their investments in early childhood development. In addition, there will be the official launch of UNICEF’s new report Early Moments Matter for Every Child, which details a six-point action agenda for governments and businesses. Progress against malnutrition is the center theme of this event. This reception, hosted by The Bill and Melinda Gates Foundation, in partnership with Goalkeepers, 1,000 days, The Scaling Up Nutrition Movement and Power of Nutrition, will accelerate efforts to address childhood stunting as well as celebrate the successes that have already come. The reception will bring together multi-stakeholder partnerships interested in achieving Goal 2: ending hunger and malnutrition. Following on to the Bill & Melinda Gates Foundation “Goalkeepers” event on Sept 20, this side event will highlight progress toward achieving SDG2 and showcase opportunities to accelerate momentum this Fall. The reception will bring forward similar themes to celebrate country success stories and inspire greater collective action. Since September 2008, H4+ partners (UNAIDS, UNFPA, UNICEF, UN Women, WHO and the World Bank) have programmed joint support to countries for reproductive, maternal and newborn health. Implementing the Global Strategy and achieving the SDGs requires an unprecedented level of alignment and coordination across the spectrum of sexual, reproductive, maternal, newborn, child and adolescent health (SRMNCAH). In response to the UN Secretary-General’s renewed emphasis on UN coherence and drive for results, the H4+ partners renamed their collaboration the H6 Partnership, reflecting the full commitment and equal engagement of all six member organizations, and recalibrated the partnership’s focus and activities, in support of country-led efforts to achieve the targets of the Global Strategy and the SDGs. As the constituency with the most extensive reach in countries with high burden of maternal and child mortality and morbidity, H6 work at country level helps advance the goals of Every Woman Every Child with the purpose to “leverage the collective strengths and complementary advantages and capacities of each of its six member organizations in order to support countries with high burdens of maternal, child and adolescent mortality and morbidity in their efforts to improve the survival, health and well-being of every woman, newborn, child and adolescent”. RSVP by Tuesday, September 19th to attend this lecture and hear about all the work that’s been done and what you can do to help the H6 partnership. Alongside the main events listed previously, partners will be hosting small corner events in the EWEC HUB—including a FB Live corner, global health innovations and maternal health related activities. The HUB will also include a VR viewing booth focusing on early childhood development with a short film on Thursday 21 September. There is no period more critical in a child’s development than the first 1,000 days of life. Advances in neuroscience have taught us that children’s experiences and environment in the early years can be as important as genetics in influencing future health, happiness, well-being, ability to learn and earn. As part of the activities in the EWEC HUB, there will be a youth corner Tuesday through Friday mornings from 9-10 a.m. to engage youth on the importance of their role in achieving RMNCAH and to empower them to not only survive, but to thrive. Friday’s youth corner will include two activities, running from 9-11 a.m. 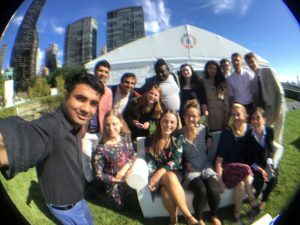 The Youth Corner is EWEC’s contribution to help foster meaningful engagement by youth and for youth during UNGA. This interactive session will allow a diverse group of youth sexual and reproductive health and rights (SRHR) advocates to discuss the state of youth SRHR movements in their own contexts, reflect on how far the movement has come, and outline the progress they want to make. The session will also engage leaders across sectors to outline how allies of all ages can support young people in driving progress. Seek renewed commitment from partners to support the deliverables of the compact. This discussion will focus on how young people view the concept of health equity and what they are doing to promote it in their communities. We will have a virtual EWEC HUB on social media. ALL are invited to share a tweet or a Facebook post, which can be displayed during events in the EWEC Hub, so more people can “be” with us during UNGA. We also expect strong youth participation on social media, with targeted activities and coverage throughout the week in conjunction with the Youth Corner activities. From September 18-21, EWEC partners will join a streamlined conversation on social media, with the second edition of our social media relay. Check out the #EWECisME Social Media Relay Toolkit here! JOIN the conversation on Twitter @UN_EWEC using #EWECisME. Together we can successfully amplify this important message: healthy and empowered women, children and adolescents are key to help drive peace and prosperity. We can only achieve our ambitious goals if we work together, in partnership. We count on you to post content, follow us and, most importantly, help keep women, children and adolescents front and center in all discussions throughout the week. Click on the chat names below to learn more! There will be another online event occurring on Wednesday, 20 September on the @EveryWomanEveryChild Facebook page from 9:00am to 9:00pm EST. What does it take to deliver on an integrated agenda for women, children and adolescents — to achieve healthier, more prosperous and peaceful societies? Angles may include innovations, empowerment, humanitarian work, adolescents, equity, cross-sectoral work, etc.—none of which can be achieved without strong accountability and sustainable financing. Make sure to join in the conversation and share the live feed on the @EveryWomanEveryChild Facebook page! Why should you take part in EWEC UNGA activities? Every Woman Every Child fosters impactful action to address major health challenges facing women, children and adolescents, everywhere. Millions of women, children and adolescents have been reached by Every Woman Every Child partners with life-saving services since the movement started one of the most impactful investments of our time. 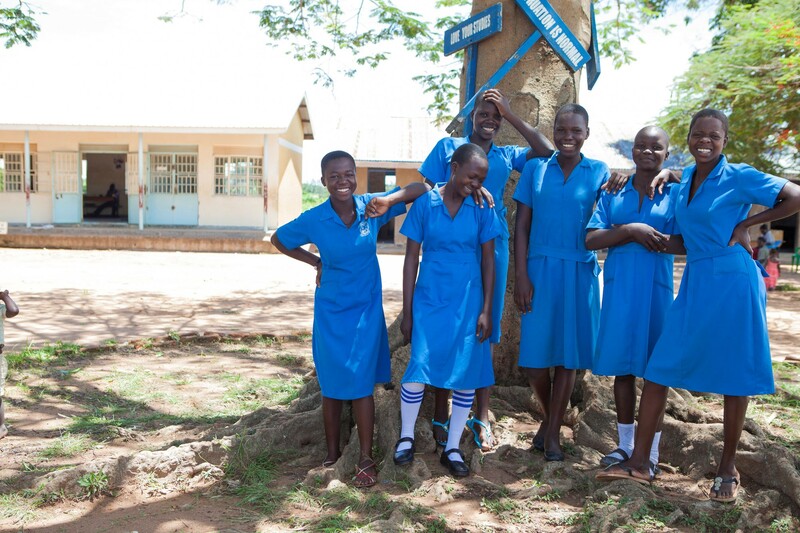 Healthy, educated and empowered women, children and adolescents—particularly girls—can drive the transformation we need for a better future for all. As they exercise their rights, raise their voices and help their societies thrive, they can—and will—help build lasting peace. Despite progress, millions of women, children and adolescents still don’t have access to basic rights, information and services. Since 2015, Every Woman Every Child has mobilized 215 commitments from government Every Woman Every Child is fostering the kind of impactful action needed to sustain the ambition of the SDGs. Between 2010 and 2015, Every Woman Every Child helped to unlock approximately US $20 billion for women’s and children’s health. Since 2015 alone, the movement has generated more than 150 multi-stakeholder commitments. More than 60 governments have also committed to implementing the EWEC Global Strategy. Together, these pledges total more than $28 billion in collective action to reach hundreds of millions of women, children and adolescents with life-saving information and services. We hope to see you at our UNGA events at the EWEC HUB supporting healthy and empowered women, children and adolescents!